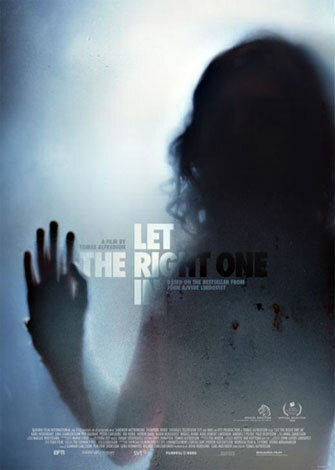 Let the Right One In is a story of Oskar, a 12 year old boy and Eli, a seemingly 12 year old girl who live next door to one another. They develop a sweet friendship and over time, Oskar learns that Eli is a vampire and requires the consumption of blood to stay alive and healthy. I see it as a very dark and sweet story of friendship and it's one of my favorites of the genre. So I wanted to invite Eli and Oskar over for brunch when I heard the new chopped challenge. Eli has special dietary needs I have to work into the meal, being a vampire and all. So I actually had 5 chopped ingredients I had to work with. They're Swedish so I thought it would be nice to make them something from their country. 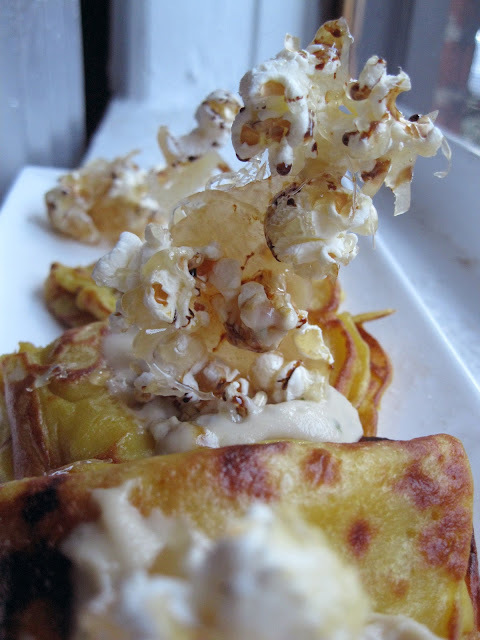 I came up with Butternut Squash Swedish Pancakes (Pannkakor) Topped with with Rosemary-Apricot Cashew Ricotta and a Molasses Popcorn Candy Tower. And we don't want to go around killing anyone so I made a Lemon Rosemary Bloody Mary. Put everything in a blender, heat a little oil in a pan and pour some batter out. Pannkakor is similar to a French crepe. So do your best to spread out a thin layer. Flip when one side is golden brown. When fully cooked, fold in half, then fold in half again and plate. I make my cheese in bulk. I use 2 pounds of raw cashews (soaked), blended in the vitamix with enough water to puree. Add sea salt. I add vegan probiotics and let ferment for a couple of days and then refrigerate. Take 1/2 cup ricotta, stir in 4 tsp of apricot preserves and 1 and 1/2 tsp of finely chopped fresh rosemary. *Note- many probiotics are not vegan but are derived from cow's milk. (they won't tell you this on the label) But there are a couple that are vegan that get their bacteria from plants. Make absolute sure your probiotics are vegan or learn to make rejuvelac to be safe in which you would be making the bacteria at home with wheat berries. pop your pop corn and set aside and lay out a scattering on some parchment paper. Take a knife and dip it into you molasses, wave your molasses knife back and forth and across in a splattering style. Sprinkle sea salt. Set aside. In a somewhat large pot, heat 1 cup of sugar, 1/4 cup of brown rice syrup and 1/2 cup of water. Boil until it reaches 300 degrees. If you don't have a candy thermometer, you can give it your best guess, let it boil for a bit and remove from heat but if it's not hot enough it won't reach it's "cracking point" and if it's cooked too much, it will be too hard to eat. Let cool partially while stirring and let it thicken. 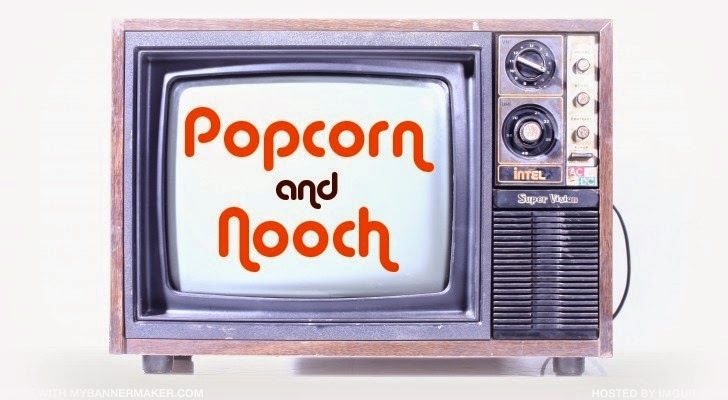 Take a fork and dip it in the sugar mix, make all sorts of crazy lines on the popcorn parchment paper, making sure there will be a good bond with the popcorn. Let cool completely and peel it right off the parchment paper carefully as to not break the candy too much. 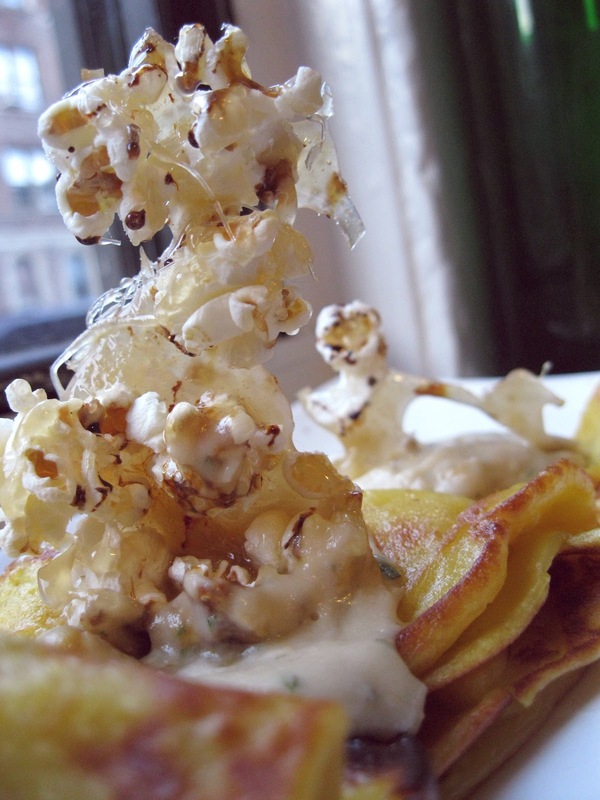 Top your pancakes with ricotta and stick a popcorn tower in the middle. Nice! Your pancakes look awesome. Fancy! Applauding the popcorn tower! Congrats on the Chopped chef award. Oh my goodness; I missed seeing this post last year! This is amazing!